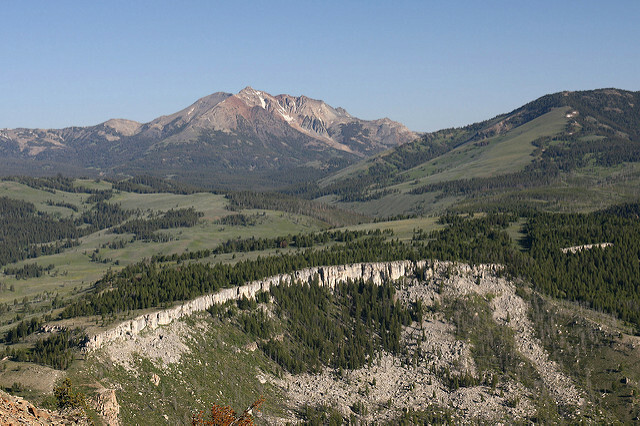 The mighty mountains of Yellowstone are spread far and wide, and just begging to be conquered by hikers from all over. 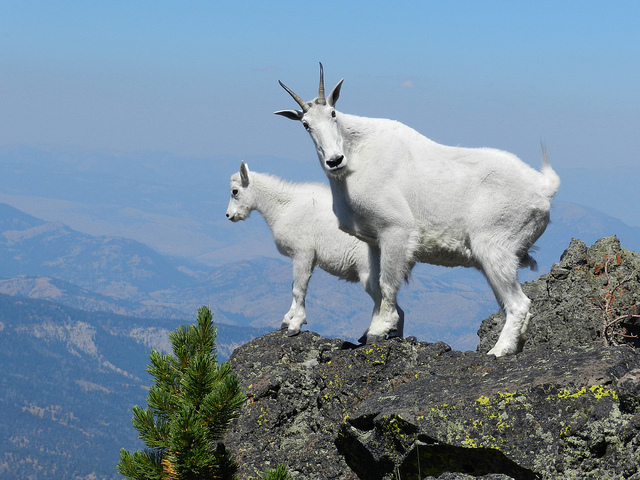 With four mountain ranges (the Absaroka, Gallatin, Red and Washburn Ranges ) and at least 70 named peaks, choosing from mountains to climb during your trip here can be a difficult task. With so much to do and see, how does one settle on which peaks to summit? While you can’t go wrong with which mountains you choose, here are four of Yellowstone’s best “peaks to bag” during your time in the park. One of the most prominent and popular peaks in the park, Mt. Washburn was named in 1870 to honor Henry D. Washburn, who served as leader of the Washburn–Langford–Doane Expedition of Yellowstone. The hike is a steady trek upward on a wide trail. Wildflowers are abundant along the slopes of the mountain and the area is known to be a favorite for bighorn sheep. 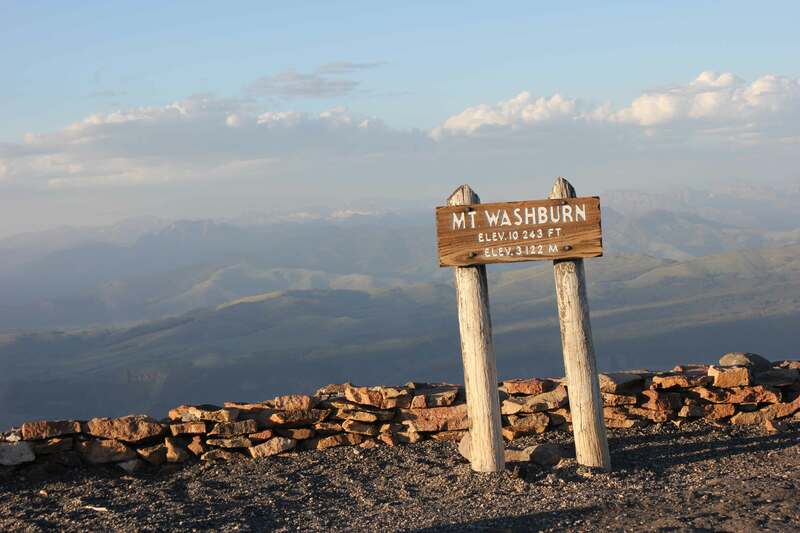 The peak provides excellent panoramic views of 20-50 miles of the surrounding areas, including aerial views of the Grand Canyon of the Yellowstone. The top is also home to one of Yellowstone’s fire lookout stations, which is staffed by firefighters mid-June through the end of fire season. The fire station features interpretive exhibits regarding the inside of a fire lookout. There are two trailheads hikers can start from: Dunraven Pass, 4.5 miles (7.2 km) to the north of Canyon Junction, or Chittenden Road, 10.3 miles (16.5 km) to the north of Canyon Junction. Named for strangely shaped formations of volcanic rock near its summit, Sepulcher Mountain provides hikers unique opportunities to spot gorgeous alpine wildflowers, beautiful mountain vistas, wildlife and more. Begin by following the Beaver Ponds Trail to the Sepulcher Mountain Trail junction. From there, you’ll ascend 3,400 feet (1,036 meters) along the trail, which will lead you through mountain meadows and thick forests all the way to the top. Once you conquer the difficult upwards trek, you will be rewarded with amazing views of the surrounding mountains and hills, as well as the rolling valleys below. The trailhead for Sepulcher Mountain is located near the Mammoth Hot Springs, between the Liberty Cap and the stone house. Recognizable by its flat top, Avalanche peak lives among the Absaroka Mountains near the park’s eastern entrance. From the beginning, the hiker begins a steep climb through a thick alpine forest. You’ll continue upward when the forest will give way to open meadows, and eventually, the bowl at the base of the peak. Loose scree dominates the top half of the peak, so tread with caution as you walk up and across the steep ridgeline. 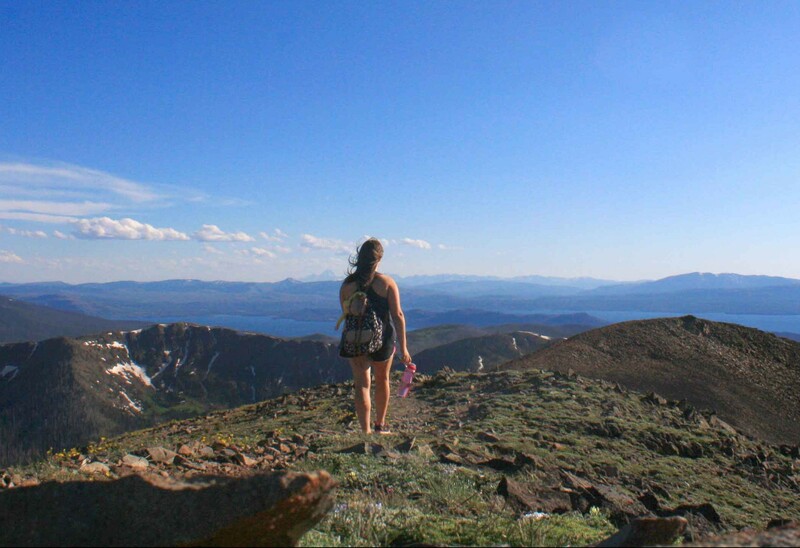 With no switchbacks, this hike is a difficult one, but well worth the spectacular views of the Absaroka Range, Yellowstone Lake and even the Grand Tetons. Avalanche Peak’s trailhead is located 19 miles (30.6 km) east of the Fishing Bridge Junction (8 mi/12.9 km west of East Entrance) and across the road from pullout at west end of Eleanor Lake. One of the tallest peaks in the whole park, Electric Peak offers hikers a plethora of quintessential Yellowstone sights. From wildflowers, spectacular views and abundant wildlife, this arduous hike has it all. Hikers will start at the south side of the Kingman Pass at Glen Creek Trailhead, passing through sagebrush grasslands (remember to be aware of the wildlife). Once through a few trail junctions, the trail leads through a forest for six miles until meeting another junction, where you will take a left turn and make your way 10.3 miles (16.6 km) to the summit. The closer you get to the summit, the more you will encounter loose scree, or unstable broken rock fragments. On a clear day, Electric Peak showcases some of Yellowstone’s most excellent views, including the distant Grand Tetons. The trailhead for Electric Peak can be found at the Glen Creek trailhead, 5 miles (8 km) south of Mammoth Hot Springs on the Grand Loop Road. Remember to hike safe and hike smart! Be sure to bring the proper equipment and gear on the trail with you (plenty of water, food, bear spray, etc.). Also keep in mind that Yellowstone’s climate conditions change constantly; remember that a few hours in the park can see sweltering heat drop to below freezing, so dress appropriately. Yellowstone regularly sees afternoon storms, so be sure to descend any peaks by early afternoon. Most importantly, enjoy your hikes as you take in some of the best scenery of Yellowstone National Park! Let the mountains take your breath away…both figuratively and literally.